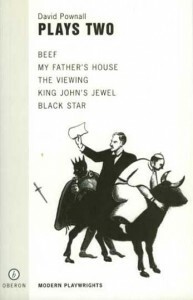 Includes the plays Beef, The Viewing, My Father’s House and Black Star. Beef, a winner of the John Whiting Award, has so far only been published in radio form. In The Viewing a family buy a house which is haunted by God, while My Father’s House, commissioned by Birmingham Rep, looks at British politics through the eyes of Joseph Chamberlain and family.Black Star centres around the black American actor Ira Aldridge, touring in Shakespeare in Poland in 1865.